State St. Under Streets & buildings. Mary Goodall. Description Edges chipped. Same as 50a & b, & 1534; negative filed with photo. (Note on negative envelope: Film of raising pole to bring electricity to LO. Probably not correct.) Another negative is with 50a. Pole is for electricity to run the railroad. 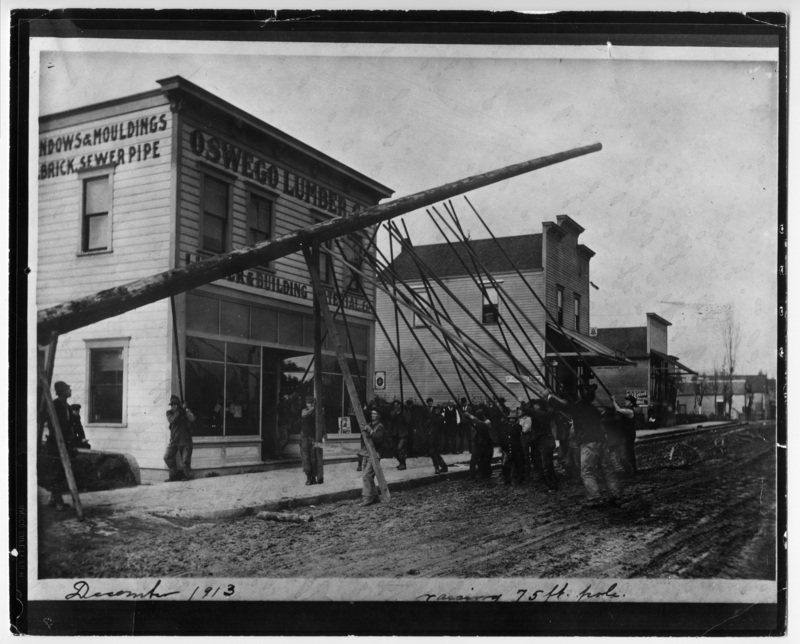 Written on front: December 1913, Raising 75 ft. pole. Transcription State St. Under Streets & buildings. Mary Goodall.